Chandigarh, 26th February 2017: Moritz Fuerste led from the front as Kalinga Lancers ended Dabang Mumbai’s dreams of lifting the coveted trophy in their first-ever final appearance. Fuerste scored twice (30’ and 59’) while Glenn Turner struck their maiden goal in the 18th minute to help Kalinga Lancers win their first ever Coal India Hockey India League here in front of a packed Chandigarh Hockey stadium on Sunday.Table toppers Dabang Mumbai who have shown great consistency through the league were kept in the hunt right from the word go with Kalinga Lancers showcasing some class act to defend their circle. 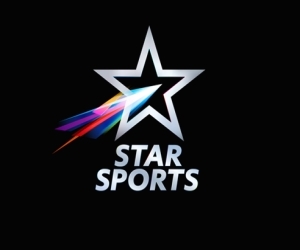 Though the first quarter ended in a stalemate, the Kalinga Lancers made quick progress in the second quarter when Aussie forward Glenn Turner, after a brilliant assist by skipper Moritz Fuerste, ensured a 2-0 lead in the 18th minute.Though Dabang Mumbai had an opportunity to score in the 18th minute when they won their first PC, thanks to Robbert Kemperman, Harmanpreet Singh’s fiercely struck flick went straight to keeper Andrew Charter who promptly padded it away. German stalwart who has shown incredible form, especially with his drag flicks, was inch-perfect yet again when he successfully converted a PC in the 30th minute to take Kalinga Lancers lead to a comfortable 3-0. This was his ninth successful PC this season, taking his personal tally to an impressive 11 goals in the tournament. Affan Yousuf of Dabang Mumbai was awarded with a prize money of Rs 50,000 for scoring the Coal India Goal of the Match from Mr. P.K Mahapatra, Additional Chief Secretary, Government of HaryanaMatthew Dawson of Kalinga Lancers won the prize of Rs 25,000 for being the Hero Young Achiever of the Match from Mr. Sanjay Kumar Singh, Chairman Kalinga Lancers.The Airtel Most Entertaining Player of the Match was awarded to Robbert Kemperman of Dabang Mumbai that came with a prize money of Rs 25,000 and presented by Mr. Aditya Khanna, Owner Dabang Mumbai. Moritz Fuerste of Kalinga Lancers was declared the Man of the Match and was awarded a prize money of Rs 50,000 by Mr. Mahavir Mukherjee, CGM, Coal India Limited. Rupinder Pal Singh of Delhi Waveriders was awarded with a prize money of Rs 50,000 for scoring the Coal India Goal of the Match from Mr. D. Srivastava, General Manager, Coal India Limited. Shamsher Singh of Uttar Pradesh Wizards won the prize of Rs 25,000 for being the Hero Young Achiever of the Match from Mr. Balbir Singh Senior, three-time Olympic gold medalist.The Airtel Most Entertaining Player of the Match was awarded to Florent van Aubel of Uttar Pradesh Wizards that came with a prize money of Rs 25,000 and presented by Mr. B.K. Upadhyay, Regional Sales Manager, Coal India Limited.Rupinder Pal Singh of Delhi Waveriders was declared the Man of the Match and was awarded a prize money of Rs 50,000 by Mr. Mahavir Mukherjee, CGM, Coal India Limited. 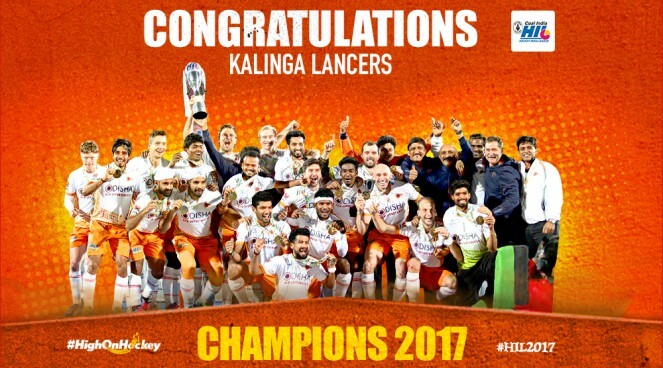 Kalinga Lancers, the Winner of Coal India Hockey India League won a prize money of Rs 2 crores 50 lakhs by Mr Sutirtha Bhattacharya, Chairman Coal India Limited and Mohd Mustaque Ahamad, Chairman, Coal India Hockey India League. Dabang Mumbai, the 1st Runner Up of Coal India Hockey India League won a prize money of Rs 1 crore 25 lakhs and the award was presented by Mr Jason McCracken, CEO FIH and R Mohan Das, Director Personnel Coal India Limited. Uttar Pradesh Wizards, the 2nd Runner Up of Coal India Hockey India League, was awarded a prize money of Rs 75 lakhs by Mr. A.K. Jha, CMD Mahanadi Coalfields Ltd. The Fair Play Trophy was awarded to the Kalinga Lancers by Ms Mariamma Koshy, President, Hockey India. Florian Fuchs of Dabang Mumbai was declared the Most Valuable Player of Tournament and was awarded a prize money of Rs. 50 lakhs presented by Mr AK Jha, CMD Mahanadi Coalfields Limited.